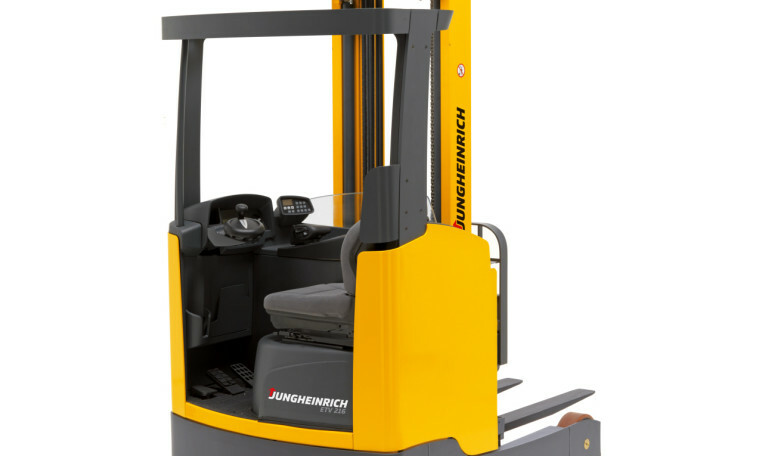 The Jungheinrich ETM-ETV 214-216 series of reach trucks provides optimal operating conditions for efficient stacking and retrieval at high lift heights and in narrow aisles. 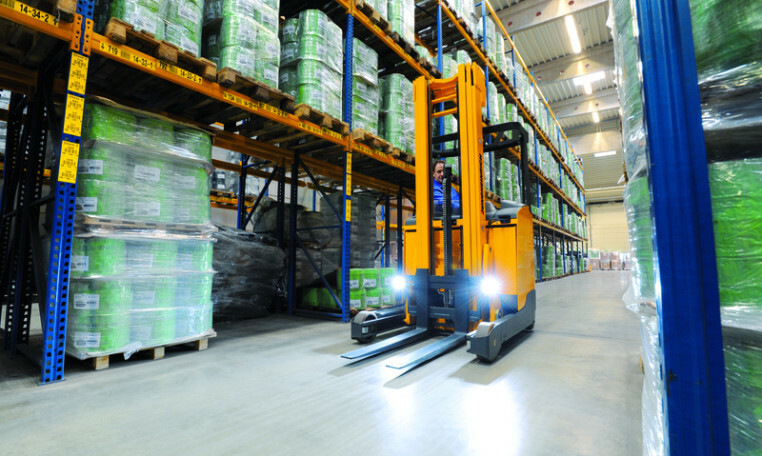 Whether handling pallets, working in drive-in racking or operating in single or multi-shift applications, these reach trucks are the ideal solution. 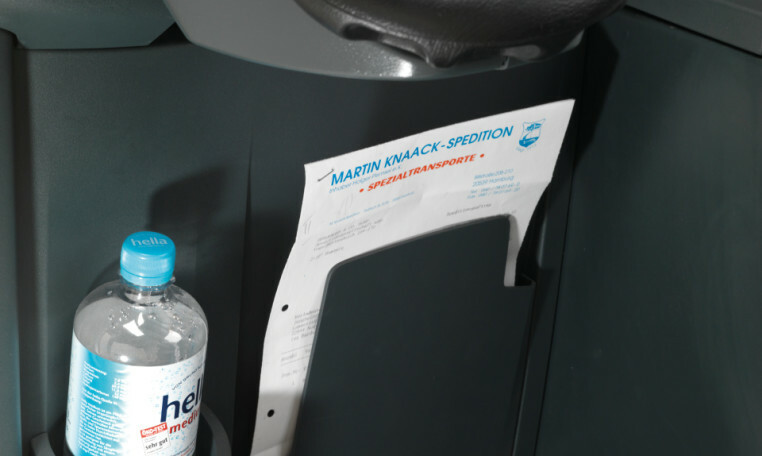 Comfortable seat with adjustment options (seat position, backrest, and body weight) for every operator. Generous space available in operator compartment. 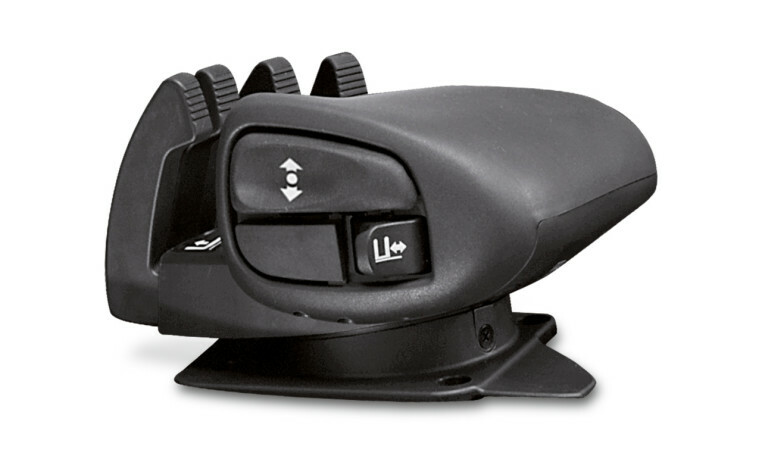 3-phase AC steering (180º/360º) with optimum steering wheel position. 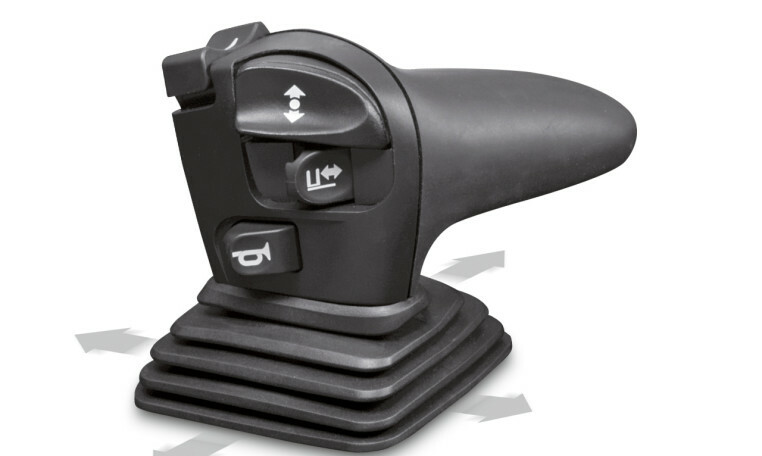 Automatic positioning of sideshift (center position) at the touch of a button (optional). Automatic horizontal positioning of forks (with fork tilt) at the touch of a button (optional). 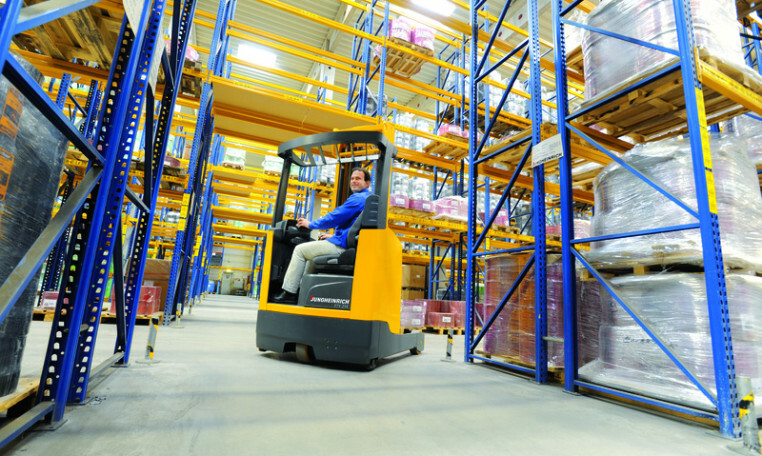 Several storage areas provide extra space for operator equipment. 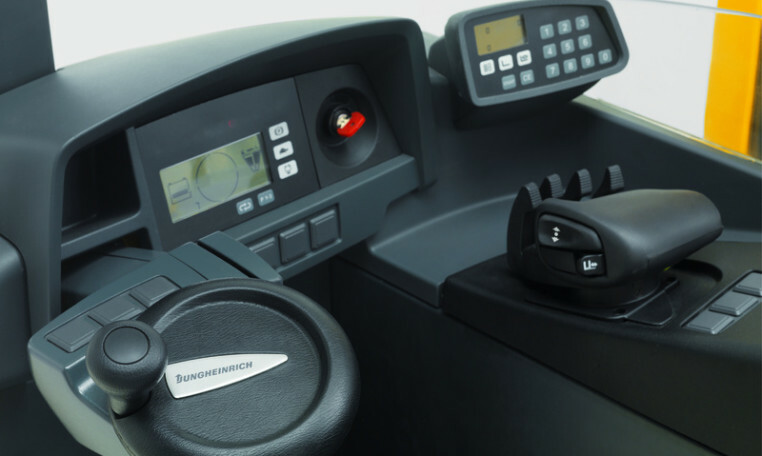 Ability to operate the lift truck for up to two shifts on a single battery charge in many applications. 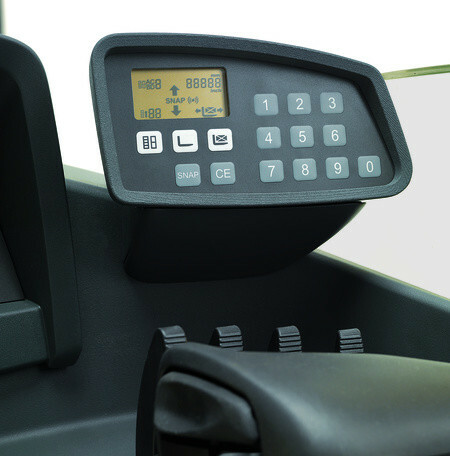 Curve Control, which provides automatic speed reduction during cornering, allows for enhanced security for both the product and operator, especially in confined areas. 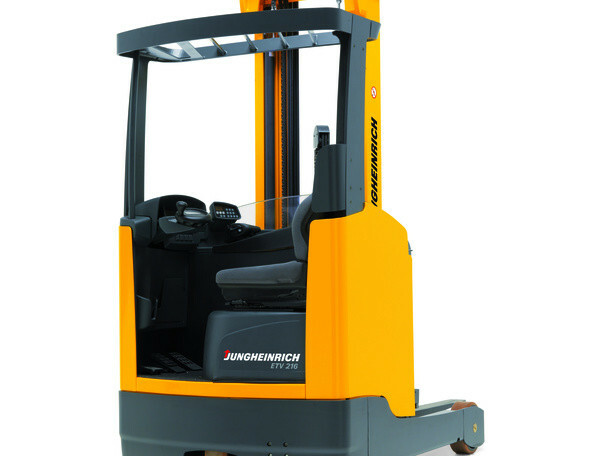 Ability for quick forklift directional changes without delay. 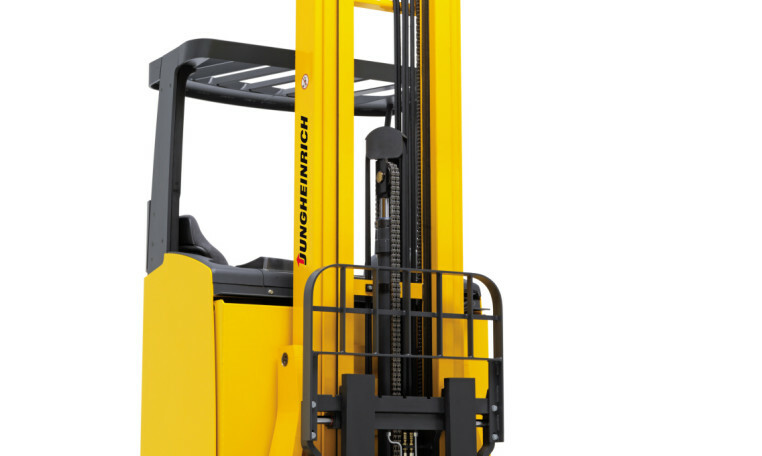 Jungheinrich masts provide maximum space utilization at high lift heights. Enhanced visibility towards the load. Choice of mast tilt or fork tilt above certain lift heights. Lift heights up to 34 feet. Battery state-of-charge with residual running time display. Drive plus option can increase speed by 2 mph. 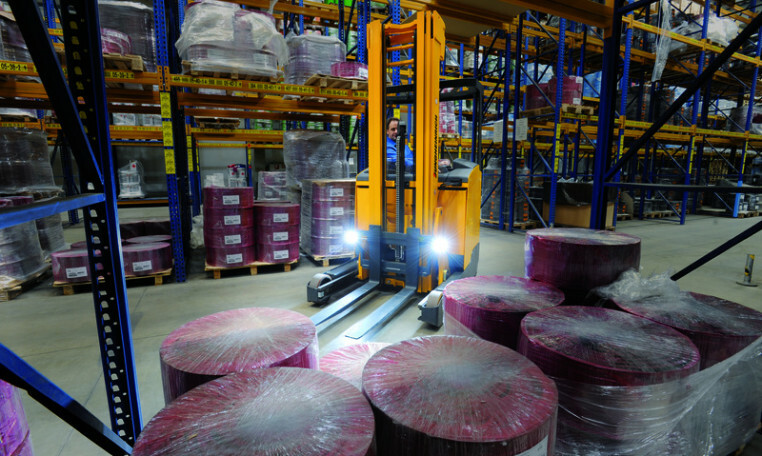 Lift Plus option can increase loaded lift speeds by more than 30 fpm. 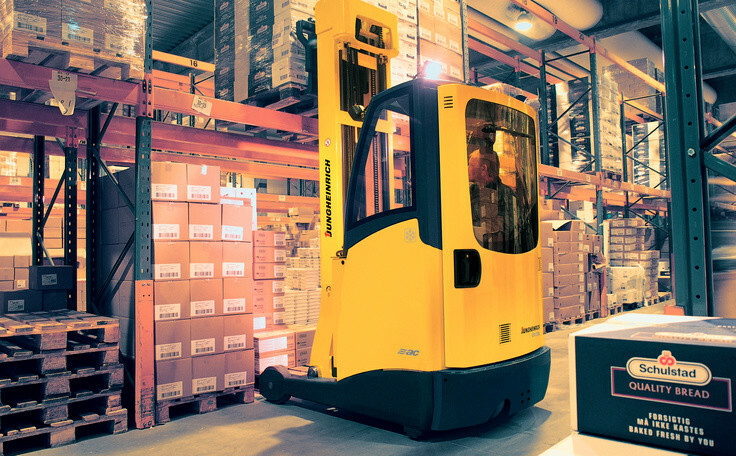 Lift control option provides increased tilt and reach speeds up to specific lift heights and load weights. 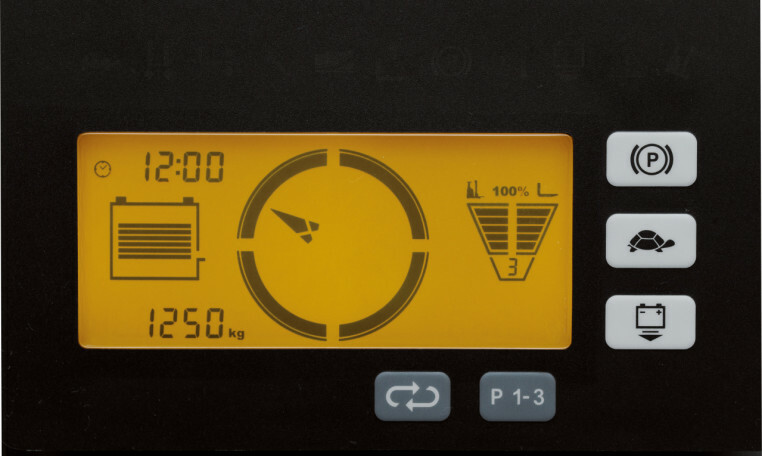 Operation control option provides a warning sound and an icon that indicates when the operator has reached maximum capacity at a perticular lift height. 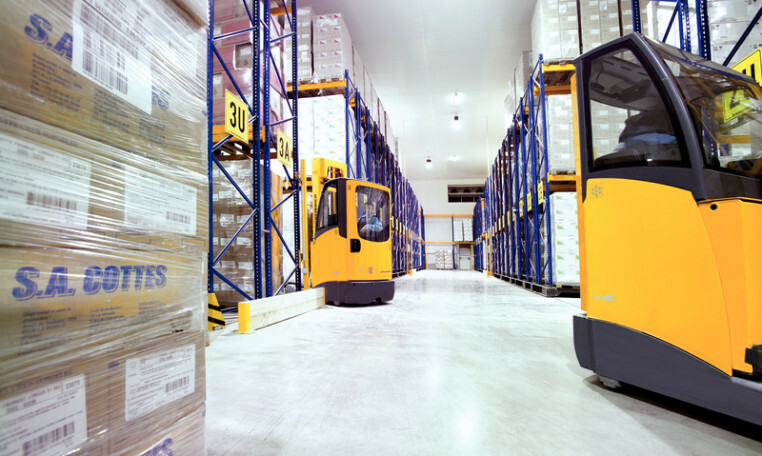 Multiple LED light options available, including the choice of plastic lens, multiple mounting positions and the option to automatically illuminate lights depending on the direction the reach truck is traveling.